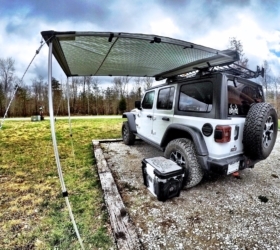 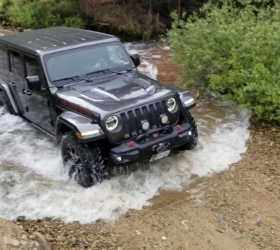 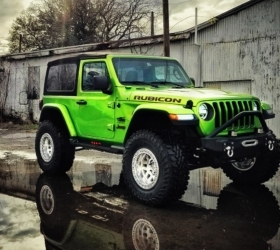 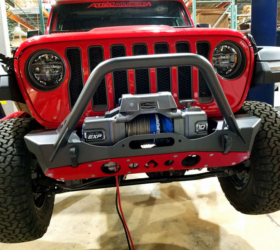 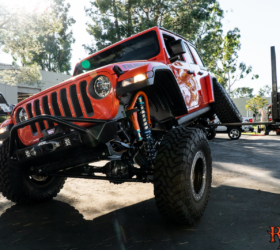 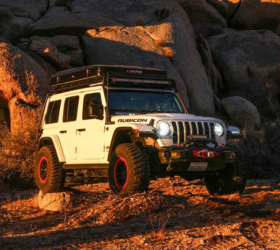 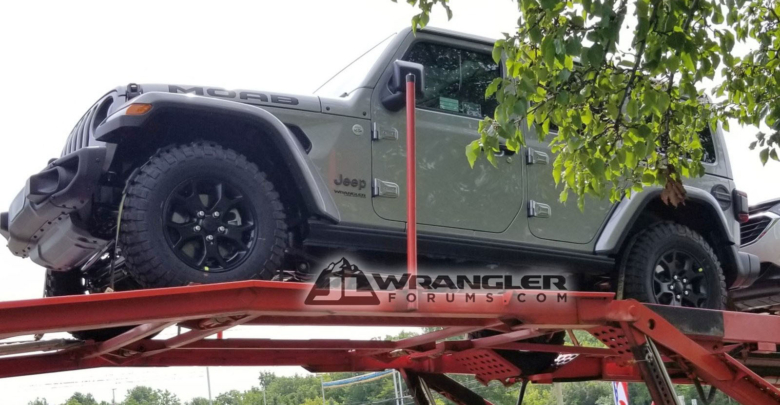 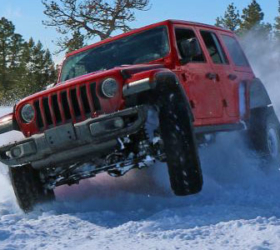 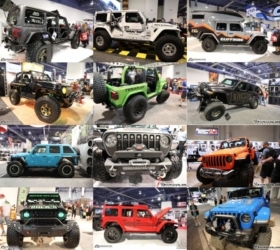 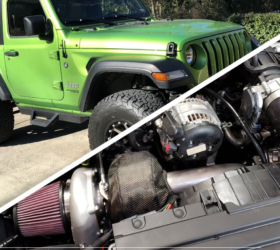 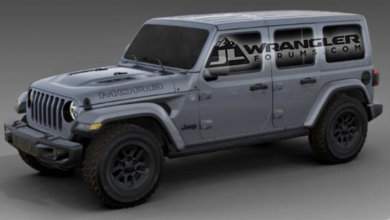 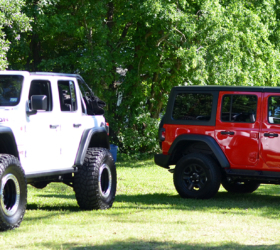 Is this a sighting of the first special edition JL Wrangler? 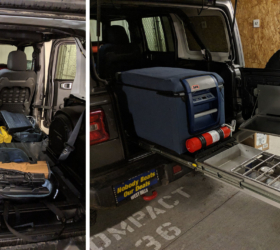 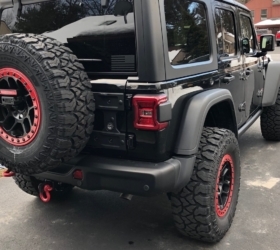 A sharp-eyed JLWF member just spotted this JLU wearing MOAB hood stickers on a hauler along with other JL Wranglers in Auburn Hills, MI, only 10 miles from FCA headquarters. 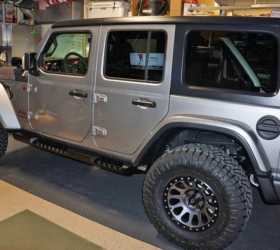 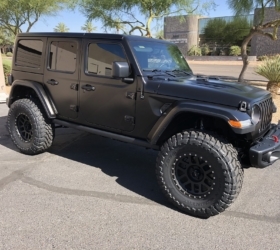 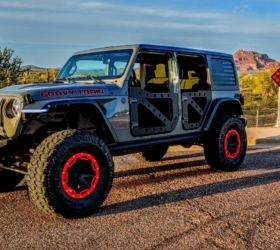 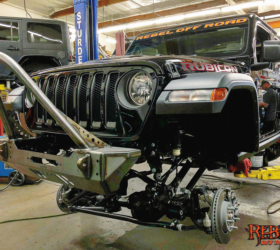 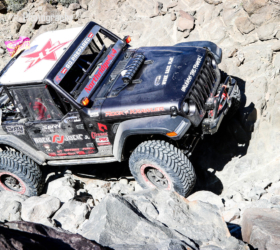 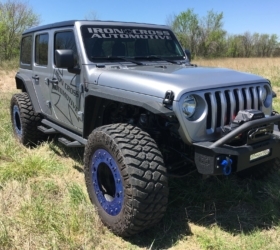 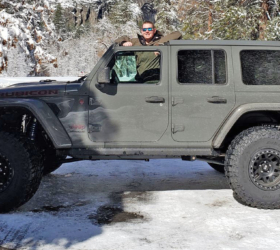 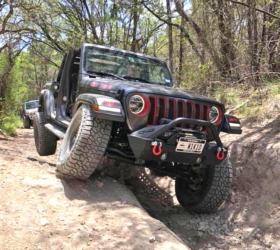 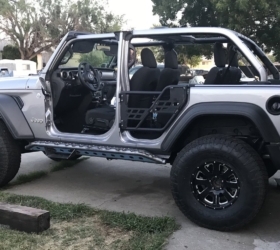 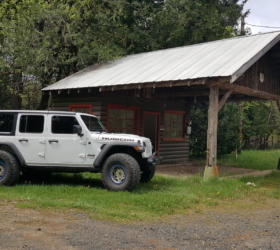 This Jeep Wrangler appears to have a unique mix of parts never seen before from a factory JL — factory steel bumpers, BFGoodrich Mud Terrain KM2 tires, different looking rock rails, black tow hooks, gray Jeep logo and black wheels. 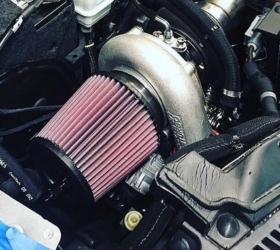 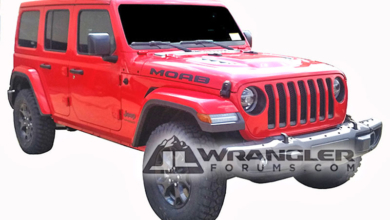 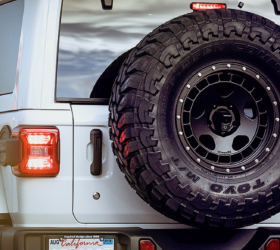 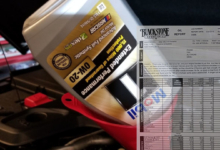 As our regular readers will recall, the MOAB decal was found in the JL parts catalogue late last year so this could be a good indication the special edition is finally coming. 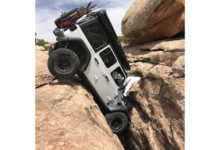 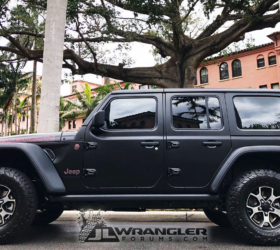 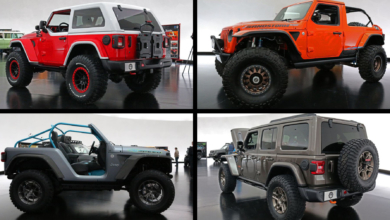 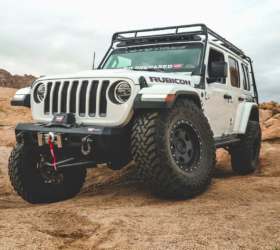 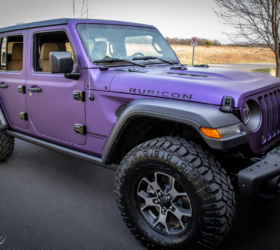 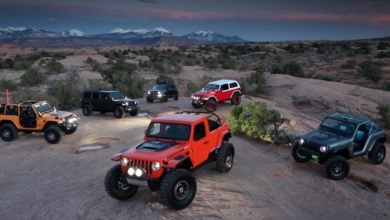 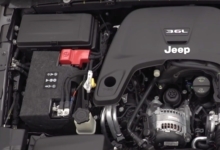 Official Specs and Pricing of the 2018 Jeep Wrangler JL Moab Edition!